Over the few days I was in Jakarta and the 1st week in Singapore, I had the chance to catch these 3 movies. 21 and Wanted was seen in the DVD version while I caught Wall-E at Senayan City. It’s amazing really that Jakarta actually screened the movie earlier than Singapore. And Jakarta’s new spanky malls have some great theatres, so far I have been to the one at Senayan City and Grand Indonesia, and both offers the same kind of cine-snacks like Popcorns and Nachos. But when it comes to cine-snacks, New York Fries Poutine at SilverCity can’t be beat! Back to the 1st movie I watched which was 21. As the title and poster shows, its about blackjack, or more appropriately a group of high intellectuals from a highly educated background playing the game for profit. Based loosely on the novel “Bringing Down the House” by Ben Mezlich, which in turn is adapted from a true story, the movie shows the adventures of a group of smart undergrads from MIT who goes on a high roller gambling weekend at Vegas. 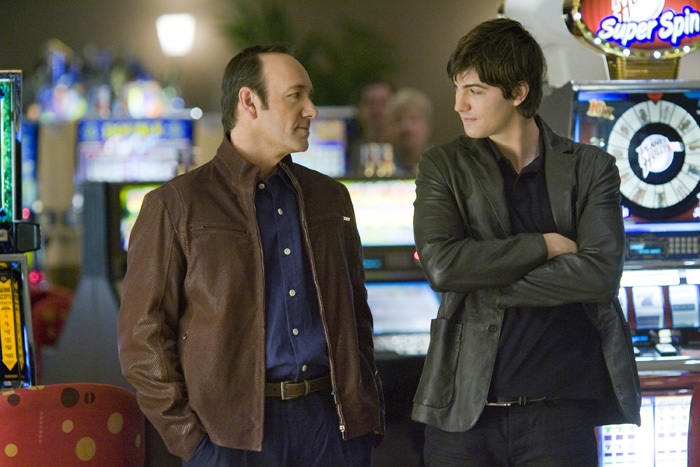 The protagonist of the show is Ben Campbell, played by Jim Sturgess. He has just been accepted at Harvard Medical and is an applicant for some scholarship to pay the hefty fees. One, he has to ‘dazzle’ the interviewer with an out-of-the-ordinary life experience or two, he gets a huge sum of money and not take the scholarship. At which point, his advanced math class professor ropes him into the team that the professor has assembled to bring down the casinos of Vegas. Initially, the seemingly innocent Ben was just aiming to get his share of three hundred thousand to foot his studies, but as he starts on his new life outside college, he realizes the temptation and changing direction of his own life. This brings in new challenges in the relationships he has with his best friends as well as his relationship with one of the team mates who happens to be a female student that he likes from the start. What’s truly smart about the show was the twists and turns in the ending, and the satisfying finale. The cast of Kevin Spacey as the professor was one of the best acted parts of the movie, and all this combines to make it worthy of a movie to be enjoyed! 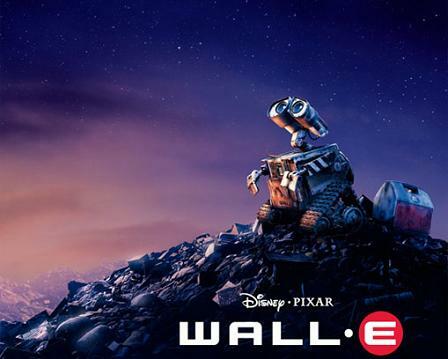 Next on the list was Wall-E, movie that I awaited, not only because it was made by Pixar. This studio has produced some of my favourite movies of all time from Toy Story, Finding Nemo, Cars to Ratatouille. Its the quality of their offerings that pushed me to watch Wall-E. It didn’t disappoint, but I wouldn’t go as far as saying that it exceeded its previous productions. The storyline shows Earth sometime in the future, over-filled with rubbish, and being too intoxicated for humans to live in, forcing the evacuation of mankind into a huge space shuttle that just cruises around space. So who was designated to clear the mess on Earth, which humans themselves created? Wall-E is the answer, and yes, this ‘cute’ little thing does the same old routine of charging his solar panels at dawn, and begins munching garbage, excreting it into small cuboids that are assembled into skyscrapers. That is until another robot from humans were sent from outer space to scan for the possibility life forms on Earth. The first part of the show could be nearly referred to as a silent movie with ‘walllleeee’ and ‘eeevvvvaaa’ being remotely the only dialogue. But the special part was the great animation work done which manages to show the emotions of these 2 robots even with the least meaningful of words. The movie was also meaningful in bringing out the ‘Save the Earth’ message to us humans, and hopefully brings out the environmentalist in all who watches the show. Do use Earth’s resources sparingly and avoid wastage… lest our Earth becomes like that depicted in the animation in times to come. 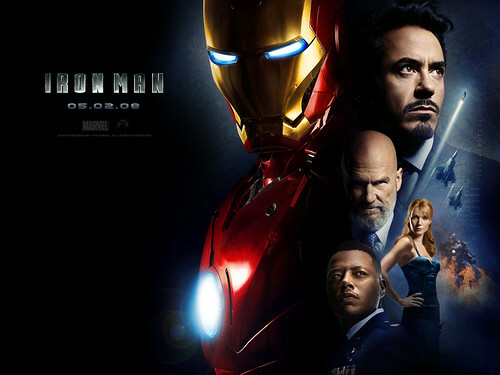 Next on the show was Iron Man, a movie that I have heard rave reviews from. Everyone seems to be complimenting on how good the show was. To tell the truth, I was kind of tired of all the Marvel Comics characters being made into movies, as I wasn’t a Marvel comic fan in the first place. My choice of comics as a kid was the Dragonball series, Martial Arts series (風雲, 神兵玄奇, etc…) and those by Tony Wong (龍虎門). Iron Man is about the ultra-rich Tony Stark as the majority owner of Stark Industries, the main defense contractor of the US Government. On an excursion to Afghanistan, the tycoon got captured, and he uses his engineering ingenuity to power his own heart, saving himself from the grasp of the mercenaries whose intent is on continuing chaos for their own benefit. Upon returning to the States, Tony Stark wants to close down the weapons manufacturing division of his huge empire, an idea which was met with discontent from the shareholders of the company. A good plot with a relevant storyline to today’s events, and the special effects certainly didn’t disappoint. Several concepts of the character was similar to that of Batman (rich tycoon, engineering ingenuity, assistance of butler, amazing cars…) The movie’s momentum was also very nicely done, with action packed scenes throughout the show, but ultimately, it might just be another of those ‘superheroes’ movie. To me, it is nicely done – better than what I had expected – however, it is not extra special. The last show of the review, was perhaps one of the biggest surprise for me. Wanted, is a show to catch even just for Angelina Jolie acting in it. But I didn’t have any particular push to watch it with the other blockbusters that was showing alongside it, like Hulk, Dark Knight, and Red Cliff. Maybe it is because I went in with little expectations that I got ‘wowed’ by the movie. This story about a young, everyday lowly accountant who was drafted into a fraternity of assassins is also based on a comic (found out about it after watching the movie). With Angelina Jolie acting as this guy’s mentor, the movie packs a lot of punches and has lots of amazing effects like bullets whizzing, extraordinary slo-mo scenes, and slick moves. The narrating perspective provided for the user was a nice touch for viewers! 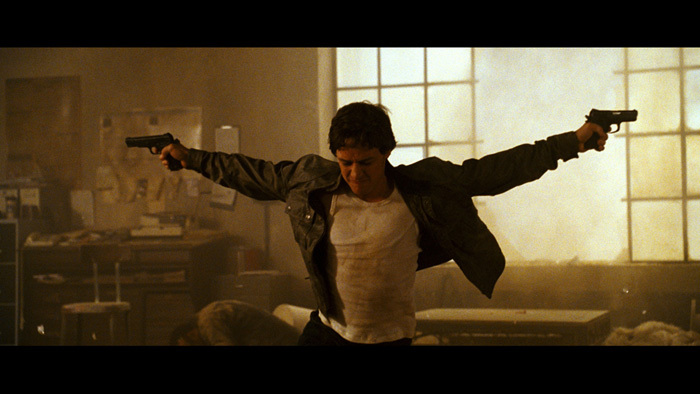 One of the best action movies that truly deserves a praise!